The Super Deep Side Part - Lean With Me! It seems simple enough, but there’s an art to the deep side part. The ultra glam-meets-effortless hairstyle has bubbled up in the blogosphere as of late and we just can’t get enough of it. The style takes its cue from the 1990s — when volume reigned supreme — but forget about teasing your hair beyond recognition with this one. Instead, the super deep side part invites you to embrace your natural texture (and perhaps add a few waves) and looks fab whether you’re at a mundane office meeting or a glitzy holiday cocktail hour. To transition the look from day to night, simply add some faux lashes, a luxe lip color and sparkly baubles. 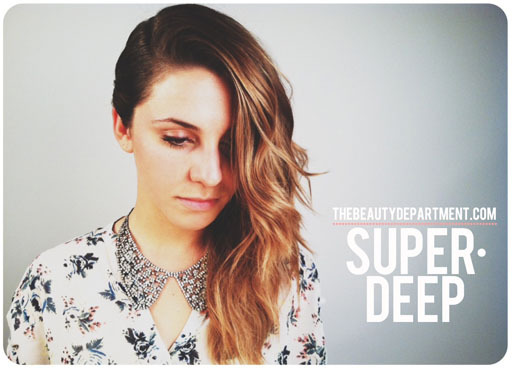 Lauren Conrad’s “The Beauty Department,” featured the heavy side part a few weeks ago. This particular tutorial uses a braid starting behind one ear and wraps down and around to the other side to make sure all your hair stays to one side of your face. For another take on the deep side part, we turn to Sarah of Hair Thursday, who posted a video tutorial on YouTube detailing three ways to wear a heavy part. One includes that classic Veronica Lake look, another features a braid and the final look is an updo. For hair destined to be seen at a glamorous event, take inspiration from FashionMagazine.com’s deep side part step-by-step tutorial, seen below. Celebs are wearing the heavy side part, too. Take Scarlett Johansson, who wore hers with deep retro waves and a velvety plum lip. Other celebs rocking this look include Lucy Hale, Michelle Trachtenberg and even Ginnifer Goodwin. 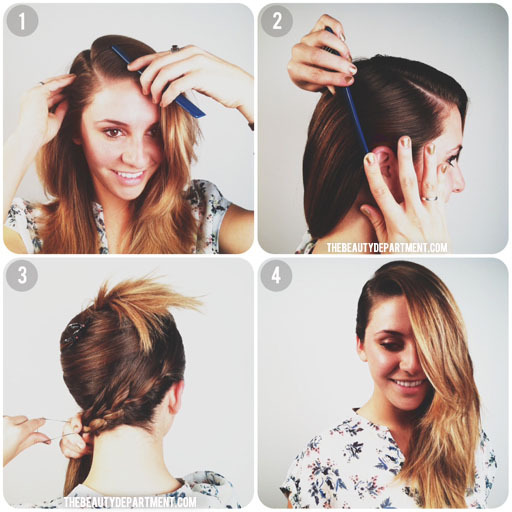 If you love this glam look, then you’ll love these tips on how to achieve and rock an upside down French braid.